Kimberly Wyatt was photographed wearing Seraphine shorts yesterday on her way to film Lorraine, a British morning show! The singer and TV personality looked Spring ready pairing a coral top and cardigan with the Seraphine Woven Printed maternity shorts ($49, http://www.seraphine.com/us). 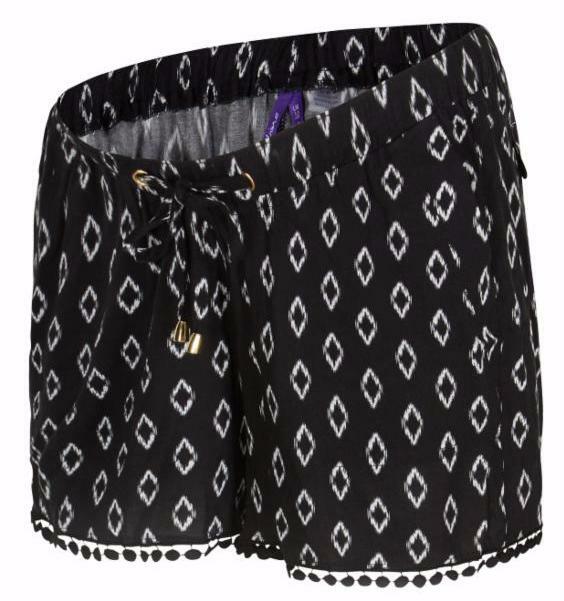 Here is a closer look at the maternity shorts. Kimberly Kaye Wyatt is an American singer, dancer, choreographer and television personality. She is best known as a former member of the American pop/R&B girl group and dance ensemble the Pussycat Dolls. She joined the Pussycat Dolls in 2003, and left the group in 2010. Learn more about Kimberly Wyatt.